"Persuasion is often more effectual than force" should be a guiding principle for those aspiring to leadership roles. Effective persuasion can increase your success in solving problems, communicating new ideas, and influencing group decisions, according to an Opinion article published online in the Journal of the American College of Radiology. 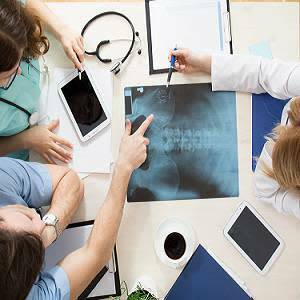 In your radiology department, for example, you may need to persuade colleagues to take on additional administrative responsibilities, or change their coverage shift hours. Often in these scenarios there is no financial incentive for the other party to agree with your request, requiring you to make an effective persuasive request. "You can improve your persuasiveness by understanding the key elements of a persuasive argument and applying them to the presentation of your request," the article says. "Mastery of persuasion can also result in more effective and diplomatic leadership by increasing the success of the request while maintaining collegial interpersonal relationships." There are two key personal characteristics that increase effective persuasion: affinity and authority. Affinity includes warmth, authenticity, and likeness to those of which the request is being made. Affinity can be improved by demonstrating presence, attentive listening, and providing effective motivation. Affinity can also be improved by consciously avoiding rash behaviour or words and practising graciousness in your daily exchanges. "Over time," the article says, "building positive interactions and showing genuine presence can increase your charisma and improve your persuasiveness." Authority impacts persuasiveness by increasing the credibility of the requestor. 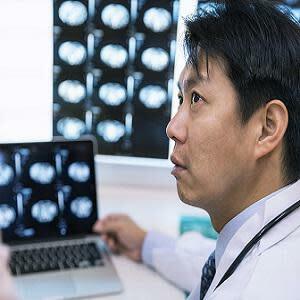 Authority can be established by assuming roles that come with descriptive titles and clearly defined responsibilities, for example, by recognition of a formal title such as the Medical Director for Imaging Informatics or Section Chief of Neuroradiology. Establishing authority may require time and include unique training or experience with previous similar challenges for which you led a decisive positive change. The article notes that authority "can be overestimated by the person making the request, and care should be taken to avoid appearing pompous or condescending." 1. Emotional connection: You need to focus on the bond between you, your request, and the audience. For example, within a radiology group a unifying emotional connection across all members is to, above all, do what is best for the patient. This common thread can be effective in convincing a group of people to adapt to a change that they may not individually favour. 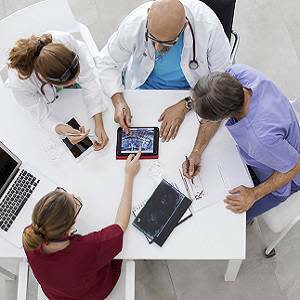 Making this connection allows you, the persuasive radiologist, to present the request as a win-win situation for all parties. 2. Evidence. It's important to provide evidence for the request, and such evidence should be organised and presented when making the proposal to provide credibility and to minimise research effort from the person of whom the request is being made. For example, when proposing a new initiative to collect patient surveys and use the feedback to improve customer service, you can provide information on how this has been implemented at other institutions and present data on its effectiveness. 3. Reciprocity. A person normally responds to a positive action with another positive action in turn. This social norm is a strong motivator in group behaviour, in both agreeing to a request but also ultimately in the effort towards complying with change. For example, if you report for a shift earlier to allow your colleague to leave and attend their child’s social function, it makes it more likely that person will concede when you ask to switch shifts in the future to attend your sister’s wedding. This positive pattern of give-and-take can also foster a team culture of better work-life balance and value for personal interests.